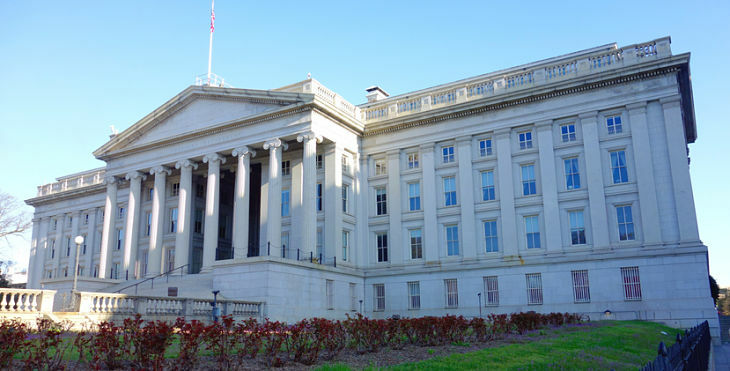 Contrary to what many expected, Treasury bond exchange traded funds were among the best performers after the Federal Reserve raised benchmark interest rates for the third time in six months. Among the top performing ETFs, the iShares 20+ Year Treasury Bond ETF (NYSEArca: TLT), PIMCO 25+ Year Zero Coupon US Treasury (NYSEArca: ZROZ) and Vanguard Extended Duration Treasury ETF (NYSEArca: EDV) popped, following the rate hike decision, as yields on 30-day Treasury notes dipped to 2.783% Wednesday, their lowest level since the U.S. presidential election. Meanwhile, yields on benchmark 10-year notes slipped to 2.138% after briefly touching 2.1% earlier in the session. Weighing on Treasury yields and bolstering bond prices, the tepid inflation numbers outweighed traders’ concerns over the Fed’s announced quarter-point rate hike and plans to reduce its balance sheet this year. The five-year, five-year forwards rates, one of the ways the Fed gauges inflation expectations, recently dipped to 1.83%, which suggested that investors agreed with the Fed’s updated inflation outlook, reports Sunny Oh for MarketWatch. “The market is taking this as a little more hawkish statement. It looks like as it stands, policy normalization is still on track, but [the Fed]are watching inflation developments,” Jennifer Lee, senior economist at BMO Capital Markets, told MarketWatch.